On social media sites (Facebook, LinkedIn and blogs) artists periodically post that they are frustrated because they have not been successful in licensing their work while other artists continue to post comments and pictures about their licensing success. Why is it that some artists are successful and others not? There are many reasons. But basically the reason why some artists are successful is that their work is very well done and can compete with other artists in the industry, have themes that consumers want on products, and has a lot of art that is licensable. The following discusses the importance in knowing if your art is good enough, knowing what art styles and themes that manufacturers license for their products, and building a relationship with manufacturer art directors. • Is your art good enough? How do you know if your art is good enough (executed well, have the right themes, colors, composition, etc.) to be able to compete against other artists in the licensing industry? Below are tips on what you can do to figure out why you are having trouble getting deals and how to improve the chance in licensing your art. It is difficult for an artist to recognize why her/his art is not being licensed. Getting kudos from family, friends, and fellow artists will not help to get deals if the art is not licensable. And, one way to find out is to hire an art-licensing consultant. A consultant can tell you if you need to have more art, what themes you need, and suggest what manufacturers to approach. But, most importantly you need a consultant that will be very forthcoming and tell you the truth IF your art is not good enough to compete with other artists. Unfortunately not all consultants are capable in telling an artist the truth about their art since it is difficult for many people including consultants to hurt an artist's feelings. Thus, when choosing an art licensing consultant make sure you stress that you want to know if your art is good enough to be licensed. If the consultant says your art is not, ask why and ask for suggestions on how to improve your art. Read "On Art Licensing Coaches (consultants)" for links to some art-licensing consultants. Another way to determine if your art can compete in the art licensing industry is to compare your art with art that has already been licensed. 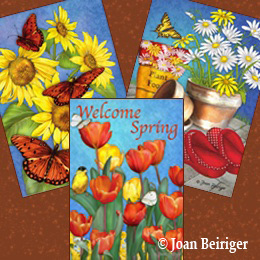 Licensed art on products can be seen in gift stores like Hallmark, at trade gift shows like the Atlanta Gift Market, on manufacturer websites, and on e-store websites. When comparing your art to art that is already licensed the purpose is not to copy the licensed art but to look at the art and determine what it has that makes a manufacturer license it and what your art lacks. This is not very easy to do since it is hard to accept that your art may not be good enough. Thus, you need to be open-minded and willing to admit to yourself that your art could stand improvement. Below are some questions to ask yourself when comparing your art to licensed art. 1. Is your art style licensable? Not all art styles are licensable for products in all product industries. For instance, some forms of fine art appear like the paint was slapped on haphazardly and has not well defined motifs. Is that your art style? You probably will not find many products other than home décor prints with this art style because it does not appeal to the mass market. Read the article "Editorial: Not all art is licensable" for information on why not all art is licensable even if it is well executed. 2. Is the composition of your art pleasing and the motifs well arranged? For information about art composition read "Creating Licensable Art: Composition Tips". 3. Do you have enough or too many motifs in your image? For instance, if you have a painting of one flower with a bird and the manufacturer is licensing art with a multiple number of flowers and several birds in the image then you probably will not be able to license that image because your image is too simple. But on the other hand, if your art is very busy with a lot of motifs and the manufacturer is licensing art that is simple with only a few motifs then you would have difficulty in licensing the art to that manufacturer. Closely look at licensed art in the different industries (fabric, decorative flags, greeting cards, jig-saw puzzles) and the different manufacturers in each industry to determine what they want. 4. Does the licensed art for a particular manufacture have a bright and pleasing color combination while your art is dark and drab looking (unsaturated colors)? You probably need to pump up the color saturation if you want to license the art to that manufacturer. Or, is the manufacturer licensing pastel colored art and you don't use pastel colors. Then, probably that is not the manufacturer for your art. It is REALLY important for artists to create art specifically to be licensed for products in the industry(s) they target. And because the art themes must be popular in the mass or niche markets, it is REALLY important to know what art styles and themes the licensees need to be able to sell their products. Thus, it is REALLY important to research what art styles and themes the manufacturers license. As pointed out in "Changes in Art Styles Used on Products" each industry (decorative flags, greeting cards, fabrics, calendars, jigsaw puzzles, table top, etc.) and even different manufacturers in the same industry have different criteria when selecting art to license. The criteria depend upon the manufacturer's customer base and how they wish to differentiate themselves from their competition. Learning what kind of art they have licensed is a MUST before submitting art to them. For example, since I am interested in licensing my art for decorative flags, I have spent many hours on my computer researching flag images on the e-store flagsrus.org to determine what are popular themes, what makes some art on flags standout more than others, are the designs simple or detailed, what art style(s) are used, do they use borders, do they use words, etc. I now know what art themes are used by individual flag manufacturers. And I have discovered that some flag manufacturers tend to license pretty and more pastel looking art while other manufacturers license images with contrasting and bold colors. The most used word on flags is "welcome". Some manufacturers use words on the majority of their flags, and others only have words on a few of their flags. Applying that information when creating my art has helped me get deals with six decorative flag manufacturers. Thus, researching manufacturers in the industry you decide to target like the example above and applying that information to your art can increase the likelihood in licensing your work. The art licensing industry is all about building relationships. Building relationships with manufacturer art directors is important because if your art sells their products and you are easy to work with then they will continue to license your work. In order to build a good relationship you need to remember that it is not what an art director can do for you but what you can do for the art director. So being willing to edit your art to their specifications, willing to compromise, being flexible, being prolific in creating art, being reliable, and showing your appreciation helps to build a strong relationship. Licensing art is very commercial and competitive. And to be successful, artists need to create for a commercial purpose and not just whatever they desire. The art needs to be well executed in an art style that is popular for the different mass and niche markets. And, artists need to learn what manufacturers license art, the products they sell, and what art styles and themes they need for their products. Read "Finding Manufacturers that License Art" for more information about the manufacturers. Your comments are welcome. Click on the comments section (below) to write your comment. Note: Some people have a problem in leaving a comment. The most successful method is to comment as Name/URL (your name and website or blog with a "complete" URL address). 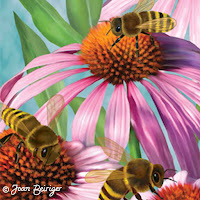 For example: http://www.joanbeiriger.com/ ).